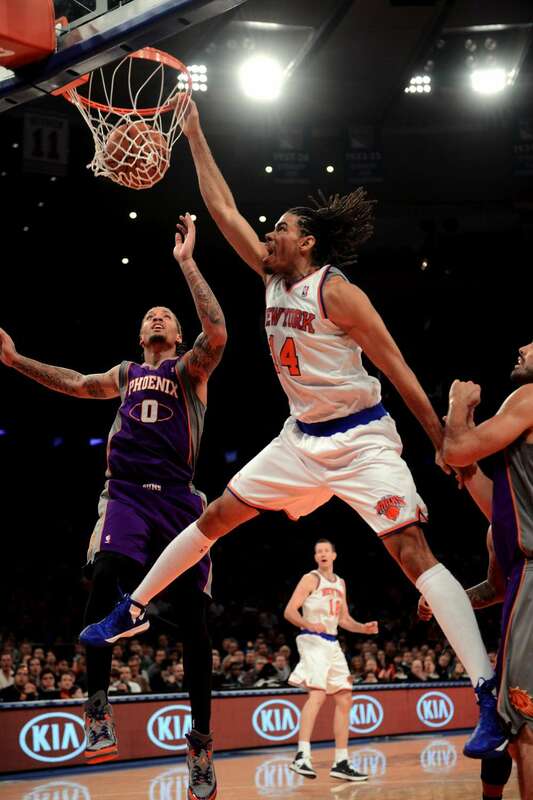 Just last year, Chris Copeland rejected substantial proposals from clubs to fulfill his desire to play in the NBA. After a breakout season with the New York Knicks, Copeland knows he’ll once again have to pass up larger offers for his hope: a return to the Knicks. European powerhouse FC Barcelona has elevated its pursuit of Copeland and wants to start negotiations on a lucrative contract for the 6-foot-8 forward, league sources told RealGM. Copeland will listen to all potential suitors, but still, he’s made clear his willingness to return to the Knicks even if they aren’t able to match his most pricey offer. “Returning is very much an option,” Copeland’s agent, John Spencer, told RealGM. “He turned down several options to play, turned down enormous money to get an NBA opportunity last year. He wants to play and wants to contribute. The Knicks are a good organization, with Mike Woodson and the list goes on. Copeland, 29, had scoring outbursts throughout the Knicks’ season, dropping seven 20-point performances including pouring in 55 points over the final two games of the regular season. When given increased minutes in the Eastern Conference semifinals, Copeland averaged 6.2 points on 55 percent three-point shooting. Several NBA teams are expected to chase Copeland in free agency, but he told reporters at season’s end he only envisions himself as a Knick. To remain with the Knicks, Copeland, a restricted free agent, would have to accept the mini mid-level exception as the most the franchise can offer. This entry was posted in Articles and tagged can the knicks keep chris copeland, chris copeland, chris copeland free agent, chris copeland knicks, KNICKS, knicks free agents, KNICKS MEMES, Knicks news, knicks rumors, will the knicks keep chris copeland on June 29, 2013 by Tommy Rothman.